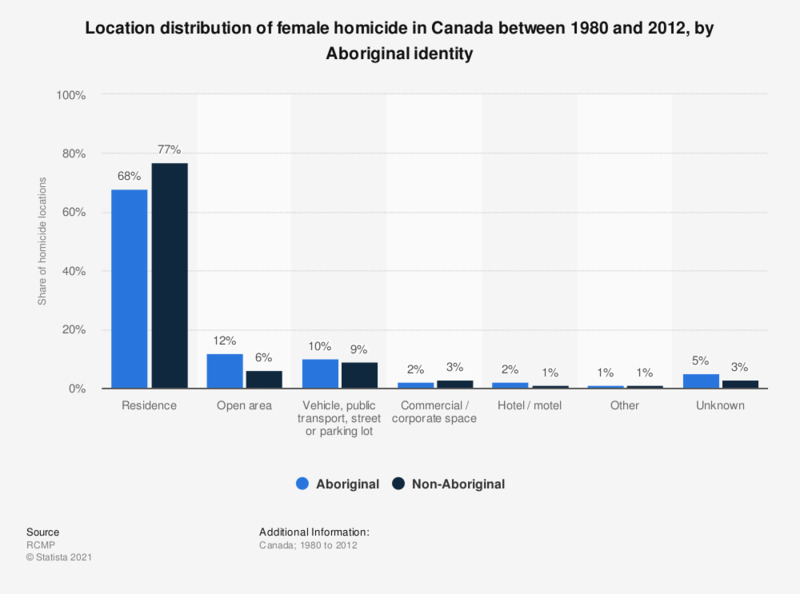 This statistic shows the distribution of locations of homicide of women in Canada from 1980 to 2012, by Aboriginal identity. Twelve percent of female Aboriginal victims of homicide in Canada were killed in an open area. The term "residence" includes single homes, houses, townhouses, other residential dwelling units and apartment buildings. Statistics on "Aboriginal crime and justice in Canada"